Stock status is current as of 4/24/2019 11:46 PMET. 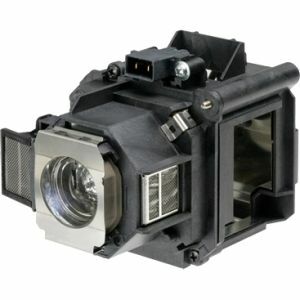 Epson projector lamps provide a higher, brighter light output. Lamp wattage to a minimum for lower power consumption, although optical quality is never compromised. Epson Canada logos are registered trademarks of Epson Canada. All others trademarks and copyrights mentioned herein are the property of their respective owners.